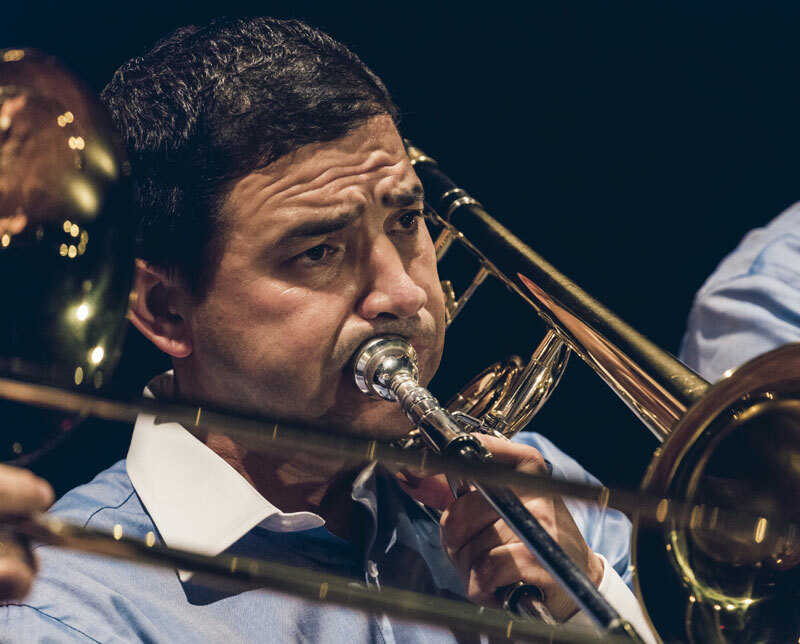 Martín Bonilla Moya is the principal trombone of the National Symphony Orchestra of Costa Rica and adjunct professor of Trombone and Euphonium at the School of Musical Arts of the University of Costa Rica. He was previously a professor at the National Institute of Music, a former youth program of the National Symphony Orchestra. Mr. Bonilla develops an intense activity as a soloist, chamber music, orchestra musician and commercial music. He is a founding member of Trombones de Costa Rica, with whom he has recorded four compact discs entitled: Contrastes, Imágenes, Trombonismos and Latin America. As a soloist he has played with the National Symphony Orchestra of Costa Rica, National Symphony Orchestra of Ecuador, Orchestra of the United States Navy, Municipal Symphony Orchestra of Cartago, Chamber Orchestra and Symphonic Band of the University of Costa Rica, National Band of San José, Symphony Orchestra of the University of Texas at Austin, Santa Fe Symphonic Band in Argentina, among others. He has given recitals and master classes in leading music schools of universities in the United States. During the last years he has been guest artist in important events such as the International Trombone Festival (Tennesse 2001 and 2011, North Texas 2002, Utha 2009 and Nashville in 2011) Eastern Trombone Workshop (2003,2010) Texas Music Conference, Iowa Band Master Association, Big Twelve Trombone Conference, Mid West Clinic, Trombonanza in 2010, 2013, 2014 and 2018 (Santa Fe, Argentina), Alessi Seminair, among others. In 1998 he was awarded the National Music Prize and in 1999 he was distinguished with the Special Prize of the chamber music contest of the city of Passau, Germany. Martín Bonilla has a master’s degree in music with an emphasis on trombone, under the tutelage of professors Alejandro Gutiérrez and Peter Ellefson. He is also an artist of the prestigious trombone brand Edwards.